If a fuel oil discharge is detected, Oil Tank Services (OTS), as a fully licensed environmental company under the New Jersey Department of Environmental Protection’s (NJDEP’s) Unregulated Heating Oil Tank (UHOT) program can quickly and efficiently provide all services necessary for the tank owner to receive a coveted “No Further Action” (NFA) letter from the NJDEP, resolving all environmental issues at their property. 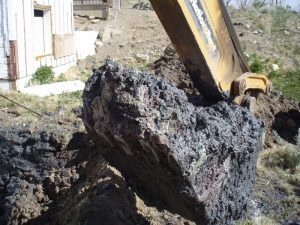 Remediation services include excavation and proper disposal of fuel oil contaminated soil using field instrumentation to ensure removal, post-excavation soil sampling and laboratory analysis, ground water sampling and laboratory analysis, and installation of borings and ground water monitoring wells. After all remedial action is conducted, OTS will produce the extensive environmental reporting necessary for submission to the NJDEP so the tank owner will receive an NFA letter. As a UHOT licensed contractor, NJDEP trusts OTS to properly conduct all necessary remedial actions This trust also results in rapid issuance of NFA letters to the tank owner. Oil Tank Services will work closely with the tank owner’s insurance company in order to ensure that there are no issues when insurance coverage is triggered. Oil Tank Services will also work closely with the tank owner in guiding eligible owners through the process of applying for State of New Jersey reimbursement for their cleanup.